A comprehensive approach to development inherently involves the participation not only of the government, but also of NGOs, Industry, corporations, financial and technical institutions. It is essential that these stakeholders be involved as partners at all stages of the research process. An inclusive research process creates wider consensus and make policy reforms more acceptable. 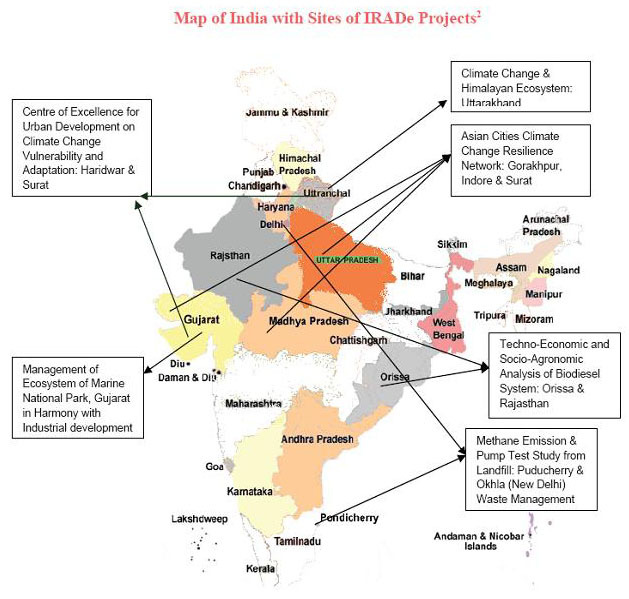 With these ideas Integrated Research and Action for Development (IRADe) is set up as a fully autonomous, non-profit advanced research institute, which aims to do research and policy analysis, train people and be a hub of a network among various stakeholders. 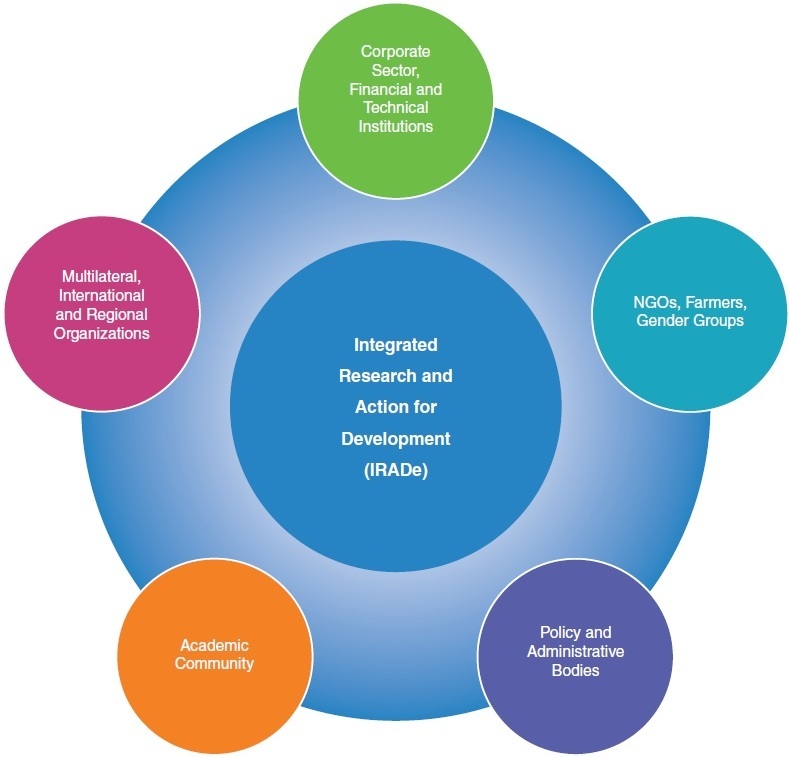 Multi-disciplinary and multi-stakeholder research for implementable solutions for sustainable development. Policy and action research that accounts for the effective governance of techno-economic and socio-cultural issues. It is a ‘think tank’ that works with ‘action tanks’. Click here for the Decision Support provided by IRADe to various Ministries and Non Government Organisations/ Institutions.